Activists behind the movement say their ranks are swelling by the day with people opposed to the White House's raids and separation of immigrant families. Immigrant rights advocates participate in rally against the ICE on June 1st, 2018, in New York City. Rights advocates across the nation plan to take to the streets Saturday to protest the Trump administration&apos;s treatment of immigrant families, taking aim specifically at the crisis at America&apos;s borders and the Supreme Court&apos;s decision to uphold President Donald Trump&apos;s Muslim ban despite ample evidence of racial bias. After the rallies, many will go home, but organizers anticipate that some will stay on the streets indefinitely, bolstering growing encampments outside Immigration and Customs Enforcement offices as part of a burgeoning call to Occupy ICE. "Right now, what we&apos;re asking is for people to please consider joining us," says Xavier Alejandro Cerrilla, an organizer with the LA Against ICE advocacy group. Last week, following a vigil to commemorate those deported by Immigration Services and Customs, Cerrilla and his colleagues decided to pitch tents outside ICE offices in downtown Los Angeles. "That transitioned into an encampment following the efforts of Portland and New York City," Cerrilla says. Encampments are popping up at ICE offices across the country. Immigrant rights advocates camping outside ICE offices in Portland have blocked entrances there for over a week, effectively halting operations. On Monday, the demonstrators began to come under pressure from federal law enforcement agents, who ordered the camp to disband, local news reported. On Saturday, the Metropolitan Anarchist Coordinating Council advocacy group organized a similar encampment outside ICE offices in New York City. Several other encampments have since been reported in other major cities nationwide. 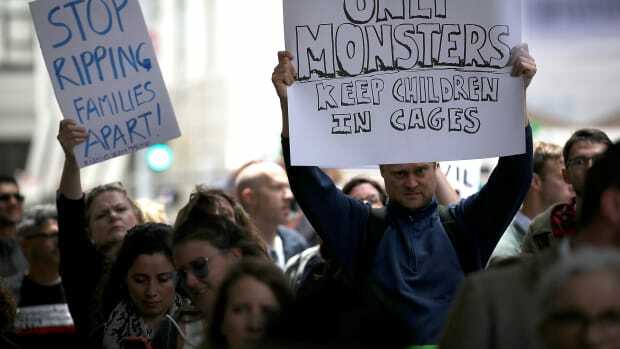 Demonstrators are pitching tents as the administration faces increased scrutiny over its separation and detention of immigrant parents and their children. In response to a public outcry over the government&apos;s treatment of children, Trump signed an executive order reversing his administration&apos;s practice of separating immigrant families, but in doing so called to modify a Supreme Court ruling mandating the rapid release from custody of immigrant minors. In effect, Trump&apos;s order means that more children will be detained for longer, in a move that rights activists balked at as a sharp blow to civil liberties shrouded in the promise of humanitarian reprieve. Only further incensed by a Trump administration doubling down on what many call its inhumane treatment of immigrant families, rights advocates across the country—from the grassroots to New York gubernatorial candidate Cynthia Nixon and Vermont Senator Bernie Sanders—renewed calls last weekend to abolish ICE altogether. Nixon called the government agency a "terrorist organization," echoing the sentiments of immigrant advocacy groups nationwide who express the day-to-day horrors of families without criminal convictions fearing that ICE raids will separate parents from their documented American children. ICE did not respond to Pacific Standard&apos;s multiple emails requesting comment on the mounting popular anger over its role in American cities. 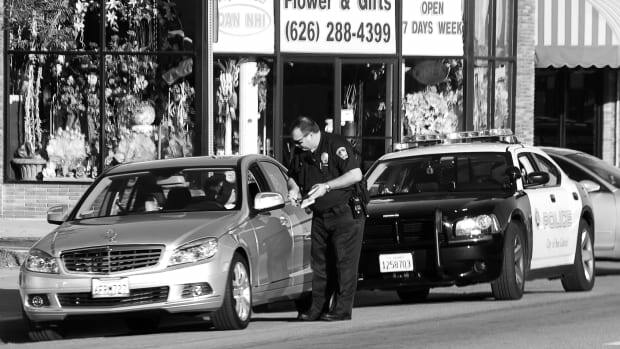 Opposition to ICE is particularly strong among immigrant and community rights advocates in Los Angeles, where, earlier this month, immigration raids detained more than 160 people. Legal analysts and others observe that those raids are likely in retaliation for California policies preventing state and local employees from assisting federal counterparts in their mass-deportations. 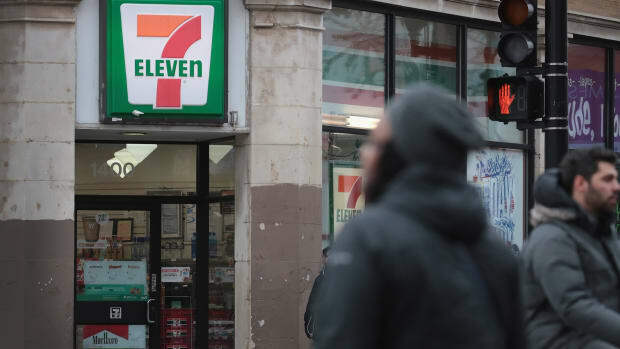 Those retaliatory raids could become cause for yet another lawsuit over the federal government&apos;s efforts to sway Sacramento and other blue cities and states into submission to its immigration policy. The Los Angeles encampment is steadily growing, Cerrilla says. He spent the first two nights there. On Sunday evening, he went home to prepare for his day job as a graphic designer the next day. But returning to the camp to drop off coffee for his fellow demonstrators, he "was very heartened to see the numbers were larger than the night before." At present, little more than 15 concerned Angelenos—most of whom are documented people advocating on behalf of their communities—are bolstering their ranks, he says, and each day a few more seem to trickle in. Saturday will draw more eyes to their camp and hopefully prove decisive, he adds. "We know how reactionary police can be in dealing with occupations," he says. "That&apos;s why growing our numbers is so crucial." Where Cerrilla and counterparts across the nation are trying to stop deportations at the ground level, so too are elected officials in Washington. Wisconsin Democratic Representative Mark Pocan announced on Monday that, following a visit to the U.S.&apos;s Southern border, the site of what many are calling a humanitarian crisis, he was introducing legislation to "abolish ICE and crack down on the agency&apos;s blanket directive to target and round up individuals and families," he said in a press release. Pocan&apos;s staff did not respond to Pacific Standard&apos;s questions on whether he anticipated that his push would make any gains in the Republican-controlled Congress, but his press release indicated that his was a moral stand against what many view as the administration&apos;s human rights violations. "The heartless actions of this abused agency do not represent the values of our nation and the U.S. must develop a more humane immigration system, one that treats every person with dignity and respect," he said. Analysts observed that, since ICE&apos;s creation 15 years ago, immigration authorities have become increasingly hostile to immigrant communities. "Recently many have lamented the separation of the enforcement and service functions which had previously existed under the &apos;Immigration and Naturalization Service.&apos; After 9/11, when [the Department of Homeland Security] was created, proponents thought that immigration would improve with a separation and that resulted in ICE," says Richard Boswell, a law professor at the University of California–Hastings specializing in immigration law. "In retrospect many feel that whatever the reasonableness and heart that previously existed under INS was gone from ICE and CBP—they got worse." While immigration enforcement will always exist, ICE itself should be brought back under the same umbrella as USCIS and CBP, Boswell suggests. "My personal view is that there would be some improvement, but ICE, CBP and USCIS all reflect the nativism that we find in this country and the rhetoric of Washington," he adds. "It&apos;s exacerbated by the union representing ICE working together with the prison industrial complex to create the perfect environment for lopsided enforcement." For ICE to cease to exist as its own entity would take an act of the federal government—like Pocan&apos;s proposed legislation. "The federal government has the broad power to regulate the admission, removal, and naturalization of non-citizens. 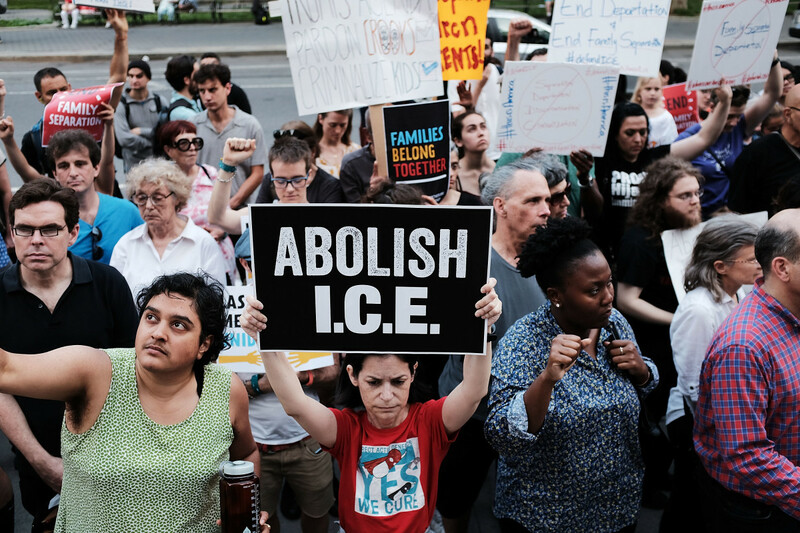 ICE is an enforcer of that immigration law and only the federal government can abolish ICE," says Jean Reisz, a University of Southern California law professor and supervising attorney at the university&apos;s immigration clinic. "Unlike &apos;sanctuary&apos; policies that limit voluntary cooperation of state and local agencies with federal immigration officials, a state or local government &apos;abolishing ICE&apos; or occupying its offices would be an obstruction/ interference that would potentially have criminal penalties." It remains unclear what Cynthia Nixon could do, for instance, to abolish ICE. Her campaign&apos;s staff did not respond to Pacific Standard&apos;s request for comment. 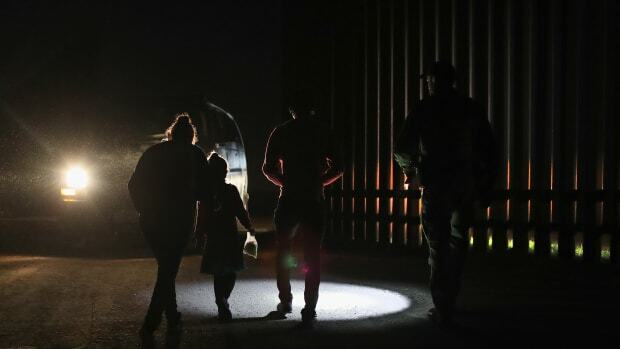 For Douglas Kmiec, a professor of constitutional law and a former ambassador to Malta, the U.S. needs to secure its borders, but the role of a task force patrolling the streets isn&apos;t just unnecessary but un-American. "The president repeatedly argues that the definition of a nation necessarily entails closed borders. Yet this is not the story of America. there were long periods in our national history when immigration was unrestricted," Kmiec says, adding that new entries should be screened, but that ICE itself runs counter to American principle. 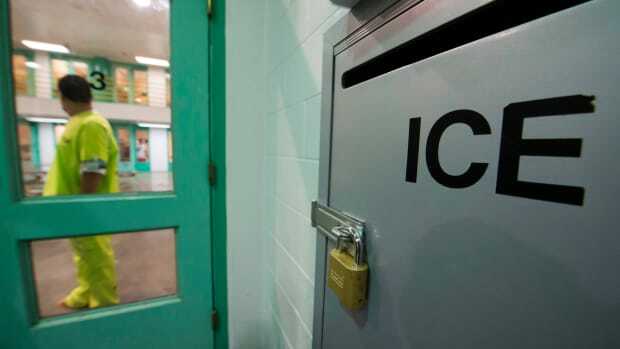 "I can imagine a world without ICE; what I cannot imagine is an America that would&apos;ve been successful if it hid behind a wall or jailed and harassed its new populations." For advocates like Cerrilla, working on the streets in an attempt to slow raids, to abolish ICE would mean lobbying lawmakers, USC&apos;s Reisz says, but in the meantime, there are many ways to keep the agency in check. "Other ways civil society can challenge the authority of ICE is to hold ICE accountable for its transgressions including impact litigation, monitoring and investigation by outside agencies, and limiting cooperation with ICE beyond what is required by federal law." In the meantime, Cerrilla waits to see if an influx of angered voices at ICE offices across the country this weekend will mean more support for his bid to slow the retaliatory policing of Los Angeles immigrants. This week's raids were the latest in a standoff between the state of California and the Trump administration over the latter's efforts to crack down on undocumented immigrants. Could California Sue to Stop Trump's Retaliatory ICE Raids? The administration's weaponization of ICE may hurt its existing lawsuit against the Golden State's sanctuary protections, analysts say. 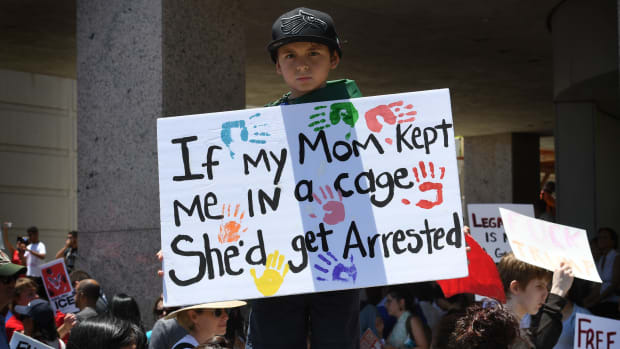 A young protester takes part in a march against the separation of immigrant families on June 30th, 2018, outside of an Immigration and Customs Enforcement detention facility in Los Angeles, California.